Meet Nicholas Monaghan who, while having a disability, is gaining experience, confidence and independence through fulfilling employment and being a valued member of a team. Meet Shelley Ann Morris who was determined to beat the odds and find gainful employment despite having a disability. This is her story. 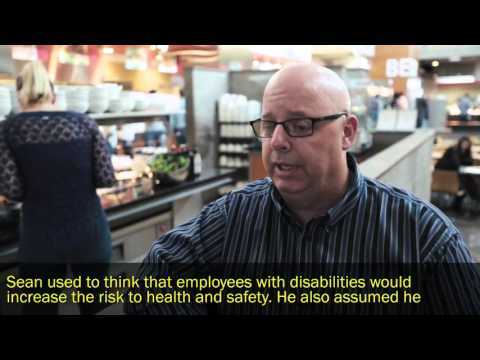 Introducing Sodexo Canada, a company 20% of whose staff has a disability. Sodexo’s experience in hiring people with disabilities disproved every myth about employing and accommodating persons with impairments. This is their story.